This week's discoveries: Not only a new president; also new solar panels! 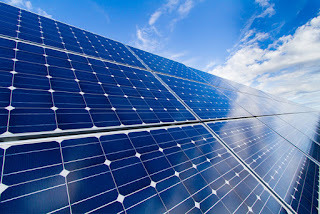 Solar cells will probably be one of the cornerstones of our civilisation in the near future. So scientists are continuously trying to improve the solar cells we have today. Their newest innovation are perovskite solar cells. 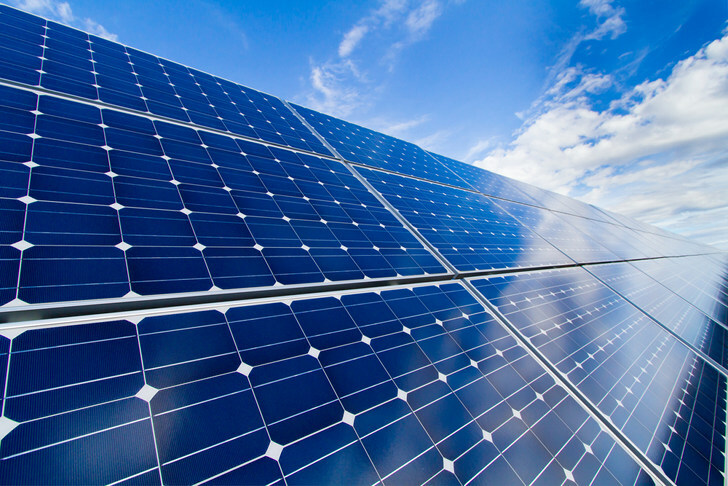 These new solar cells use inexpensive, commonly available materials. Which means that they are on their way to be used everywhere! On top of that, these new solar cells are just as good, or maybe even better than the solar cells we use today. Their secret is that they’re made of perovskite. Perovskite is a material that is mostly made of calcium-titanium crystals. And it is relatively easy to find calcium and titanium in the earth’s crust. Furthermore, Giles Eperon, Tomas Leijtens and Kevin Bush, the scientists that developed these new solar panels, could build the solar panels quite easily in their laboratorium. Something that is unthinkable with the solar panels we currently use, since they can only be manufactured at extremely high temperatures. But the advantages don’t stop here yet. Perovskite solar panels are also thinner, more flexible, cheaper and better at capturing energy than the solar panels we currently use. Which are made of silicium, or basically just sand. Eperon and his team managed to achieve most of these advantages with just one trick. 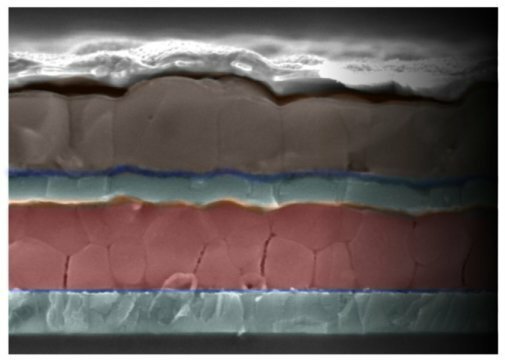 Instead of just using one layer of perovskite for their solar cell, they used two. And two layers with totally different abilities to be precise. The first layer can only absorb some specific types of light, but can then turn that into a super high electrical energy output. The second layer isn’t that picky and can absorb almost every type of light, but only puts out little electrical energy. By combining those two, the scientists got one super efficient solar cell. But it’s not all sunshine with these new solar cells. Perovskite is known to degrade more quickly than silicon when exposed to moisture or light. But this problem mostly arises when the solar panels contain tin. And scientists have already found a way to work around this. They’ve designed perovskite solar panels that don’t contain any tin at all. So the only thing that the researchers have to do is perfect their design so that the solar panels can generate a maximum amount of electrical energy, and the solar panels are ready to roll.